Home › Why Hire Us? Deciding on the lawyer you will hire is a very important decision. We know that when you have a personal injury, workers’ compensation, wrongful death, or Social Security Disability claim you have a lot at stake. We also know that it’s critical that you get fully compensated for your claim so you can have closure and move forward with your life. Which attorney you hire will play a big factor in how much money you will recover for your claim. You need a great lawyer not just a good one: When you are hiring an attorney you want to make sure you hire a great lawyer. Great lawyers are honest, hard working, highly skilled, and very knowledgeable. If you hire the wrong attorney, then the amount you recover will be far less and you will be left with a lot of frustration about the claims process. What is the Griffin Law Firm all about? 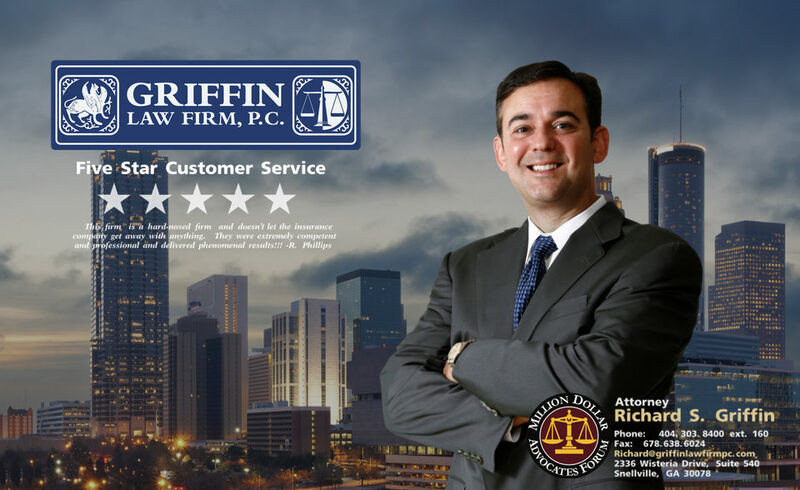 Attorney Richard Griffin started the Griffin Law Firm to provide high quality legal representation for personal injury, workers’ compensation, wrongful death, and Social Security Disability Claims. Our slogan and mission statement is, “Good People. Great Results.” This means our firm is made up of good, honest, hard working professionals that provide great customer service and deliver great results. Client Testimonials: The reviews from our clients in their own words is the best way to determine if we are delivering great legal representation. The reviews on this site are the actual words of our real clients and show that they are very happy with our representation. Attorney Awards: Attorney Richard Griffin has been rated AV Preeminent by the Martindale-Hubble. This is the highest rating for legal ability and ethics. However, this rating is only one of many awards that the Griffin Law Firm has received from the legal community. Great Recoveries: We encourage you to review our firm’s settlements and verdicts which show that we have a history of great recoveries for our personal injury, wrongful death, workers’ compensation clients. Telephone Consultation: Call us today at 877-529-7070 or 877-PAIN-LAW for a free phone consultation. We will gladly answer all of your legal questions and will let you know how we may be able to make all the difference in your case.